Book Review: "The San Francisco of Alfred Hitchcock’s <i>Vertigo</i>"
Book Review: "The San Francisco of Alfred Hitchcock’s Vertigo"
Screening Alfred Hitchcock’s Vertigo for first-time viewers makes me edgy. The stakes are personal: if my guests like the movie, I feel flattered, but if they don’t, I’m miffed. I don't think I'm alone in feeling this way. In fact, its intrinsic merits aside, I believe this is why so much has been written about the film: Vertigo admirers often feel entitled—if not obligated—to put their two cents in. That’s the feeling I got reading the eclectic collection of essays in “The San Francisco of Alfred Hitchcock’s Vertigo: Place, Pilgrimage and Commemoration,” edited by Douglas A. Cunningham. But if those other locations are holy sites, San Francisco of Vertigo is the Dome of the Rock. Want to see for yourself? You can even stay at Hotel Vertigo, formerly the movie’s Empire Hotel, and push your way into Judy’s old room—if you’ve got some nerve. For my money, I’d rather blow a paycheck on a room at the Fairmont, Hitch’s roadhouse of choice, where Scottie took Judy dancing; be sure to get a room with a view of Madeleine’s Brocklebank apartments across the street. Cunningham devotes five full chapters to the consideration of what it means to take the Vertigo city tour. The book is at its most thought provoking when it turns its attention to the film’s specific locales. Riffing on a fascinating history of the California Mission Revival of the late 19th century, Martin Kevorkian and Stanley Orr quote Phoebe S. Kropp’s observation that the movement romanticized the less savory aspects of California’s Hispanic origins, smoothing out the facts of “conquest, genocide and war as well as race, class and religious conflict.” The writers draw a direct line from such revisionism to Hollywood’s incompetent Indians and pious Franciscan priests, such as those portrayed in Douglas Fairbanks’ Zorro movies. Hitch’s own attitude on the topic manifests itself in the movie’s first frames. The authors note that the opening chase is pursued across clay-tiled mission-style rooftops, and that the script called for an “Italian type, with rough features.” In other words, the movie opens on the image of an immigrant, minority “other” running for his life. From the start, Scottie’s (and, therefore, our) place in and grasp on history are shown to be literally flimsy. In a field where so many ideas get regurgitated ad nauseum, it’s refreshing to read original writing on Hitchcockian topics! This chapter alone makes the book worth the purchase price, highlighting Vertigo as a key antecedent to the intimations of Native American genocidal guilt that seep through in The Shining and Poltergeist and of the profligacy of American imperialism hinted at in Eyes Wide Shut. From Vertigo's opening, Hitch disrupts his audience's expectations: the opening title sequence starts out in black and white—a motif that's also played out in scenes inside staircases and the bell tower. Hitchcock dedicated prodigious thought to every aspect of his films’ production. He even thought long and hard about his film stock choices and how they might relate to the themes his stories explored. For instance, when called upon to shoot a film in 3-D—Dial M for Murder—he chose to adapt a stageplay, using that faddish technology to privilege the audience to join the actors onstage. Psycho, a film about the use (and misuse) of eyes, was shot with a 50 mm lens on 35 mm film stock—all the better to implicate the audience in that story’s voyeurism by replicating the natural field of human vision. 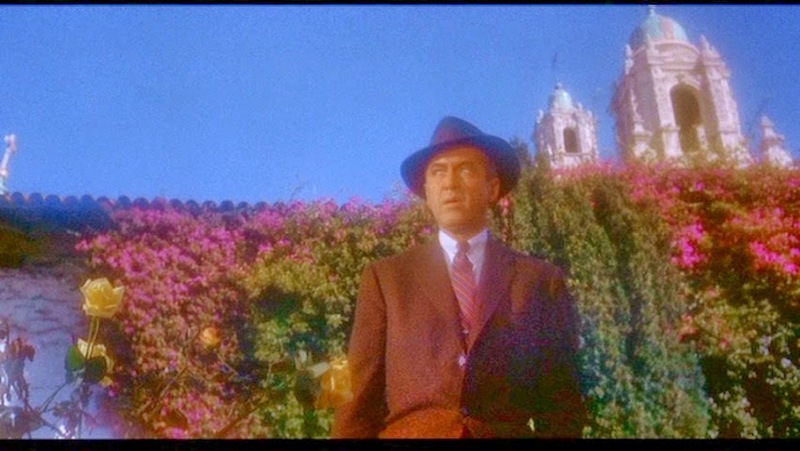 Vertigo, however, was shot in VistaVision. How does that relate to the story? Contributor Ana Salzburg offers a few interesting ideas. In the 1950s, studios experimented with a variety of big screen formats, such as Cinemascope and Cinerama. While they emphasized horizontal width, Paramount’s VistaVision allowed for a taller field of view as well. 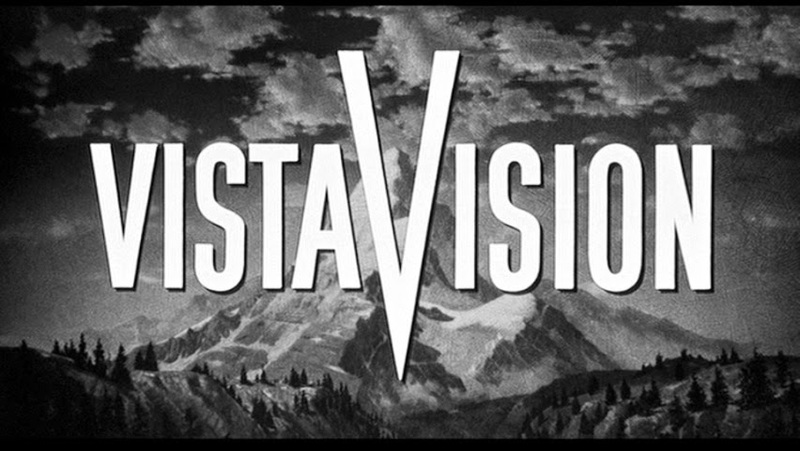 Further, shooting (not just projecting) in VistaVision allowed for greater depth of field—an important attribute, I’d add, in a film whose special effects were designed to bring the dizzying sensation of acrophobia to the screen. 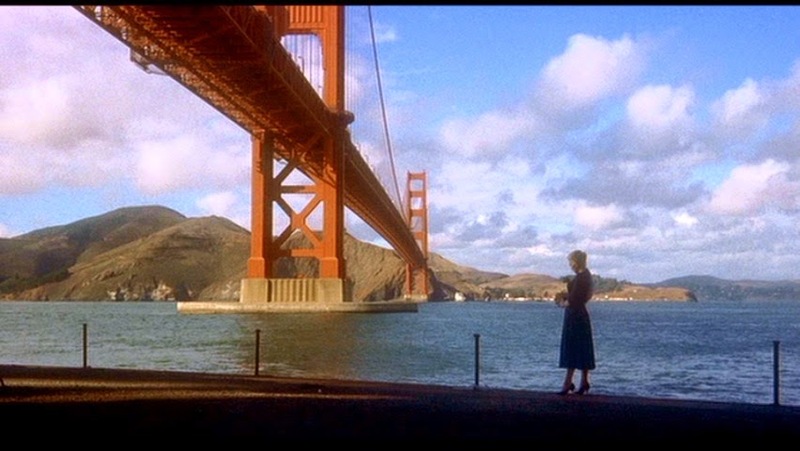 The scene at Fort Point combines a full view of the bridge, the bay and Madeleine’s haunted, diminished figure. Likely, such framing couldn’t have been accomplished without VistaVision. This scene is one of the most iconic in all cinema, and the grandeur afforded by VistaVision helped make it so. 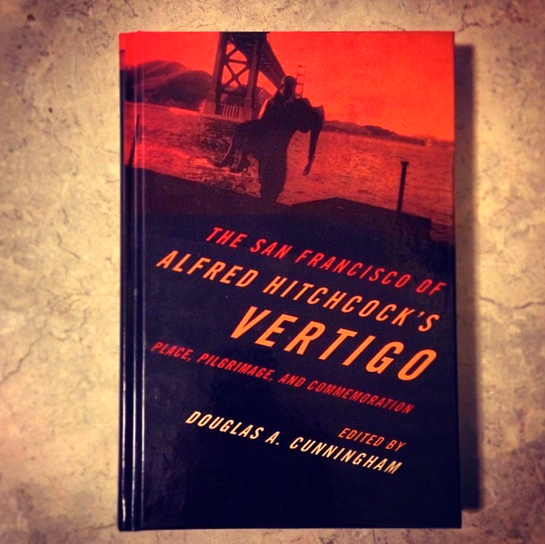 Stacks of articles have been written about Vertigo, along with several books, leading with Dan Auiler’s “Vertigo: The Making of a Hitchcock Classic.” At 334 pages and containing the contributions of 17 authors, “The San Francisco of Hitchcock’s Vertigo” takes its place among them. It offers a sweeping, yet idiosyncratic (in the best sense of the term) view of one of cinema’s most treasured jewels, in one of the world’s most-loved cities. Having helped preserve its memory, some of these writers, like Scottie, might feel responsible for it now. Whatever the case, this book is clearly a personal labor on the part of its contributors and its editor—an apt response to one of Hitch’s most personal works. 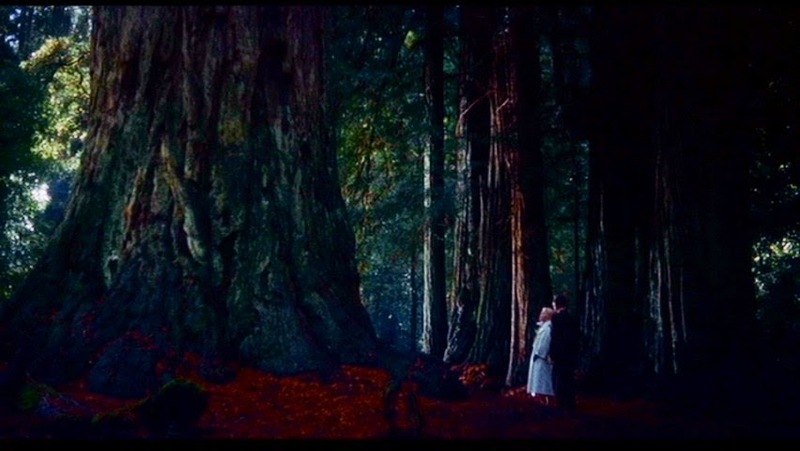 Only a film as beguiling and beautiful as Vertigo could inspire such a project. Dear joel, I just drop by here and being a great fan of Hitchcock as you are (but I didn't finished waching all yet!) I need to shared my work with you, since it's bases almost entirely on Hitchcock's films.